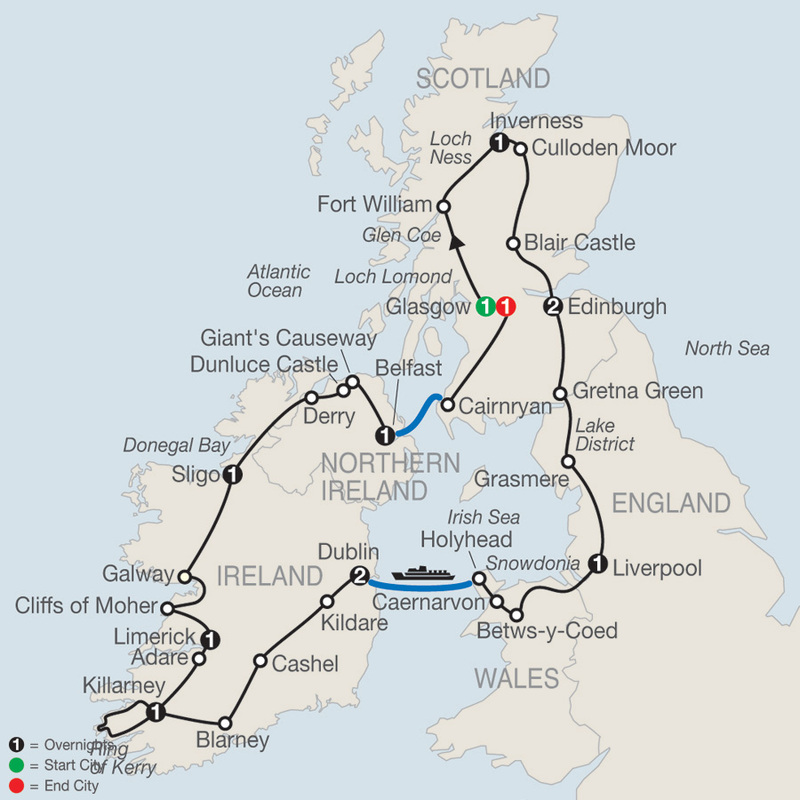 Motorcoach; ferries Holyhead-Dublin, Belfast-Cairnryan. Free Wi-Fi available on your motorcoach and in most hotel lobbies. Welcome to Glasgow! Check into your hotel. The rest of the day is free to relax in Scotland’s largest city. At 6 pm, meet your Tour Director and traveling companions for a welcome dinner at your hotel. 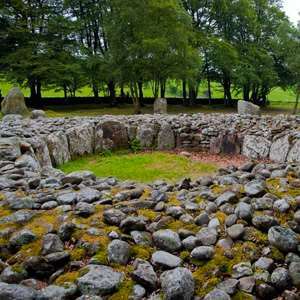 Your Celtic adventure starts in earnest with a city drive, taking in the fine 12th-century cathedral, imposing university buildings, and elegant Georgian squares. On the way this morning: the “Bonnie Banks” of Loch Lomond, wild Rannoch Moor, Glen Coe, lovely Loch Linnhe, and Fort William beneath Ben Nevis. In the afternoon, look out for signs of the mysterious Loch Ness monster. Spend the night in Inverness, the Highland capital. At CULLODEN VISITOR CENTER, hear the story of the crushing Hanoverian victory over Bonnie Prince Charlie’s Scottish clans. Then, drive through the Cairngorms National Park and visit BLAIR CASTLE, the ancient seat of the Dukes and Earls of Atholl and home to Europe’s last remaining private army, the Atholl Highlanders. 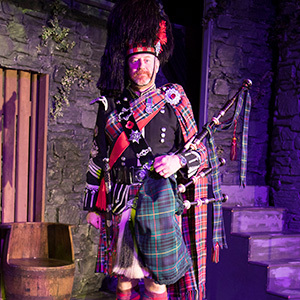 Tonight in Edinburgh, don’t miss our optional Scottish evening with Highland dancers, bagpipers, and the Ceremony of the Haggis. Morning city sightseeing with a Local Guide introduces you to the 200-year-old “New Town” and the famous scientists, inventors, and novelists who lived there. In the “Old Town,” visit EDINBURGH CASTLE to admire Scotland’s Crown Jewels, then explore HOLYROOD PALACE (when available). 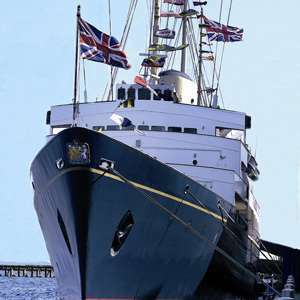 Later, a unique optional excursion: board the former Royal Yacht Britannia, once the perfect royal residence for glittering state visits and family holidays. Dinner rounds off this evening. For departure numbers August 4 through August 19, tickets are included for tonight’s performance of the world-renowned MILITARY TATTOO. Travel to lovely Betws-y-Coed, then through the incomparable landscapes of Snowdonia National Park and over breathtaking Llanberis Pass. After a stop at Caernarvon, cross Britannia Bridge to the Isle of Anglesey for a photo stop at tongue-twisting Llanfair.... At Holyhead, board your FERRY and cross the Irish Sea to Dublin. 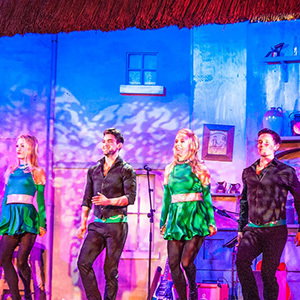 For a first taste of Ireland, why not join an optional Irish cabaret evening including dinner, dance, song, and laughter? An orientation drive in the Irish capital includes statue-lined O’Connell Street, elegant Georgian squares, St. Patrick’s Cathedral, and Oscar Wilde’s Trinity College. Afternoon at leisure. 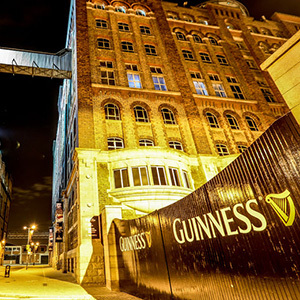 Tonight, consider an optional dinner outing to the Guinness Storehouse. Horse-racing country awaits this morning. Drive across the Curragh to visit the IRISH NATIONAL STUD at Kildare, whose thoroughbreds command respect on the racecourses of the world. On the way to Killarney, stop at the Rock of Cashel, where St. Patrick preached, and in Blarney, renowned for its magical Kissing Stone. Follow the road known as the RING OF KERRY for a spectacular 100-mile panoramic drive around the island’s southwestern tip. Have your camera ready for sparkling seascapes, brightly colored farmhouses, subtropical vegetation, and the breathtaking panorama of the Lakes of Killarney from Ladies View. In the afternoon, travel via quaint Adare to Limerick. 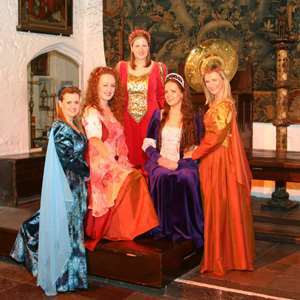 A suggestion for a very special night out: an optional medieval banquet at an historic castle. Day 10 LIMERICK–CLIFFS OF MOHER–GALWAY–SLIGO. Drive to the spectacular CLIFFS OF MOHER, rising 668 feet above the Atlantic, and step on to the edge of the world to admire the awe-inspiring views and watch the birds glide along the rugged cliffs. Via the limestone plateau of The Burren, reach Galway, a popular seaside destination and a buzzing cosmopolitan center with colorful shops and a busy café and bar culture. Then, spend the night in the coastal seaport and county town of Sligo. First highlight today is Derry, situated on the banks of the Foyle River, and a WALK on the Old Town walls in the company of a Local Guide. After lunch, take your photographs of Dunluce Castle, then visit awe-inspiring GIANT’S CAUSEWAY, composed of thousands of strangely symmetrical basalt columns jutting out to sea. Stay in Belfast tonight, Northern Ireland’s seat of government. 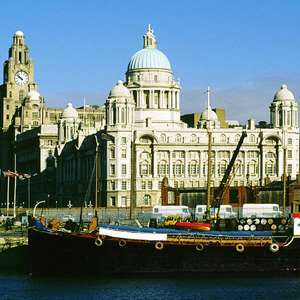 On this morning’s “Living History” tour in the company of a Local Guide, learn more about this fascinating city where the Titanic was built. Board your FERRY for the crossing of the North Channel to Cairnryan on the west coast of Scotland. Back in Glasgow, celebrate your journey with a farewell dinner at your hotel. Enjoy a delicious three-course meal followed by traditional Scottish song and dance and the Ceremony of the Haggis. 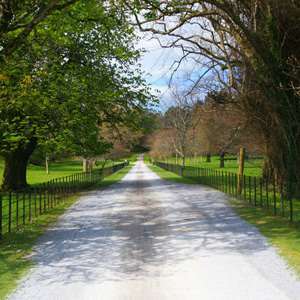 A horse drawn carriage ride through the Killarney National Park to Ross Castle. 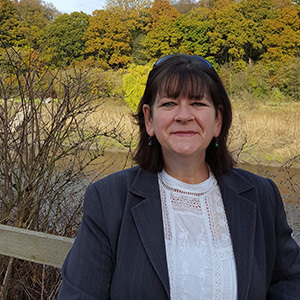 A beautiful location beside the lake, amongst stunning scenery, with informed and fun local banter! Discover Irish pub culture on this pre-dinner excursion into County Sligo. Visit a classic inn where live music is played and locals come for a bit of `craic' over a pint. 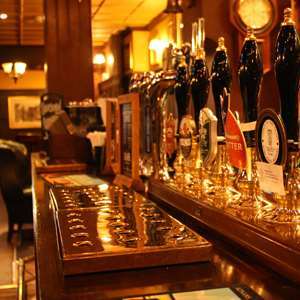 Enjoy two drinks of your choice and listen to delightful Irish songs on a very popular evening.